Our Hayden is a great home that offers ample space, that could be used in many different ways. With 5 bedrooms, study and a loft, there is a world of possibilities! 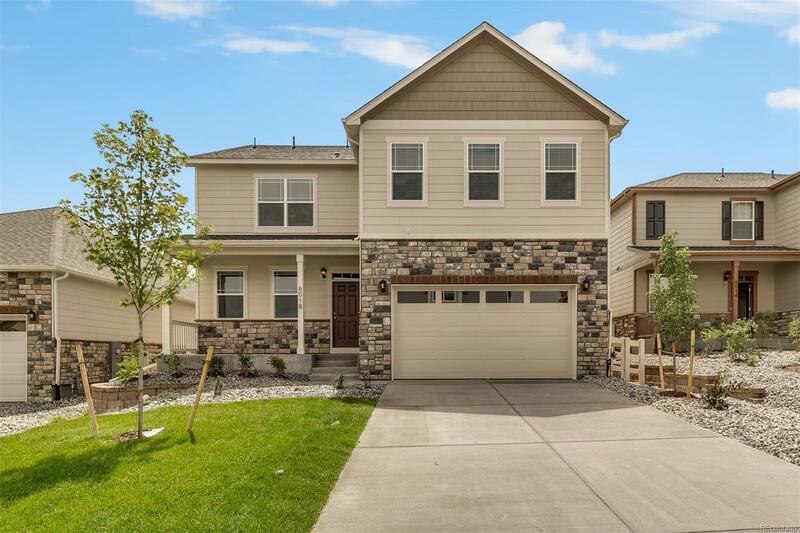 In addition to the large kitchen island, this exquisite kitchen has mocha cabinetry with crown molding, a full stainless steel appliance package that includes a gas range, granite countertops, hardwood flooring, and a walk-in pantry. Window blinds, front and backyard landscaping and full fencing are also included! If you love the outdoors, Crystal Valley Ranch should be at the top of your list. Our beautiful community has a clubhouse, community pool, fitness center, basketball and tennis courts, many parks and miles of walking trails! With all of the incredible value that we are offering, our homes do not stay on the market long, so call today to schedule your personal tour. Builder 2-10 Limited Warranty. Photos are representative - not of actual home.